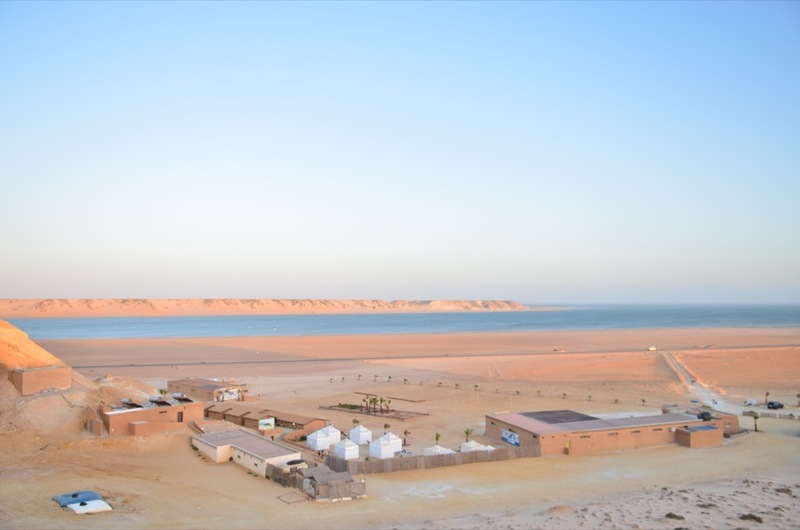 A camp for both girls and boys legendary spot of Dakhla in Morocco. 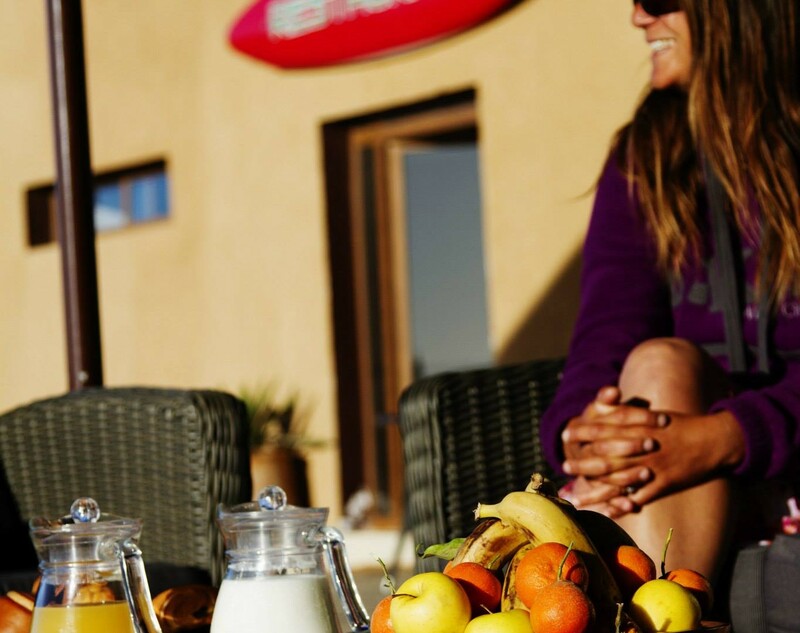 We are offering a one week coaching camp where you can meet others from around the world who share your passions to come together to ride and improve with a camp focussed on fitness and progression. 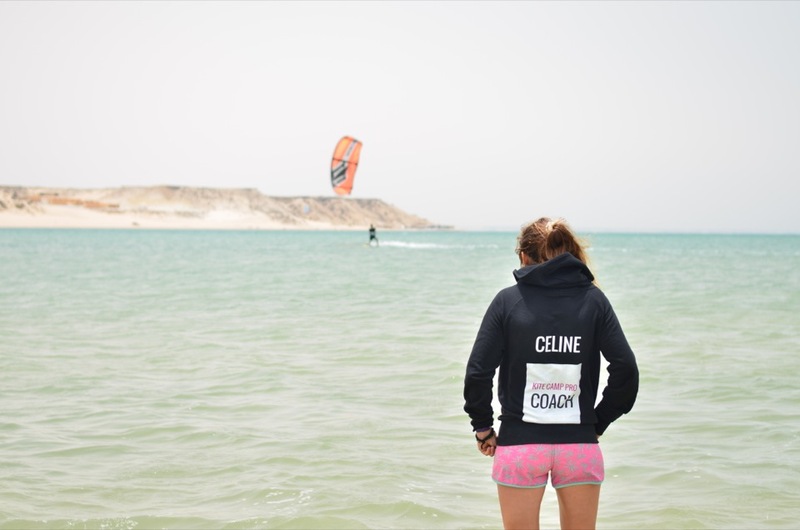 Everything is included on this camp, all food, coaching and an experience never to be forgotten. 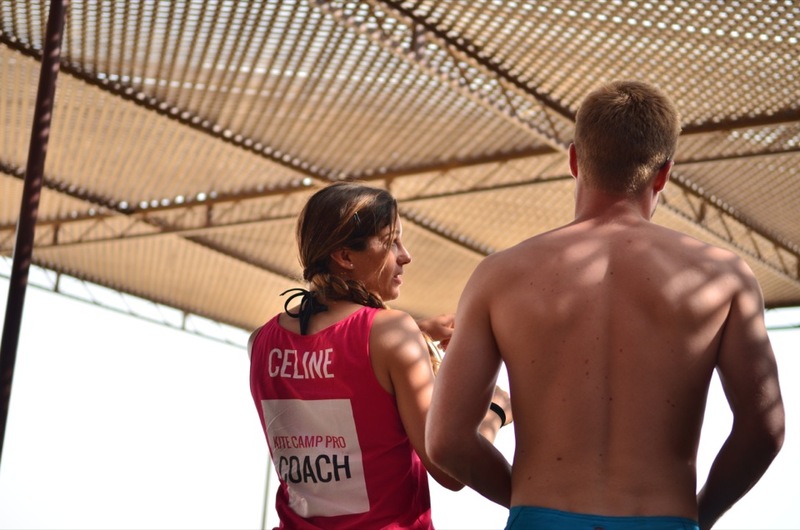 Of course you also get to benefit from our coaching expertise twice daily sessions based on your individual progression goals with feedback and analysis from our experienced team. 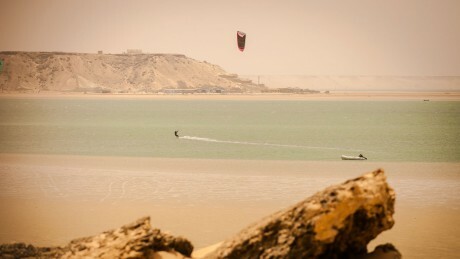 Welcome to the legendary kitesurfing paradise of Dakhla, Morocco! 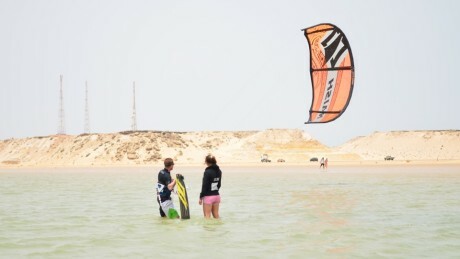 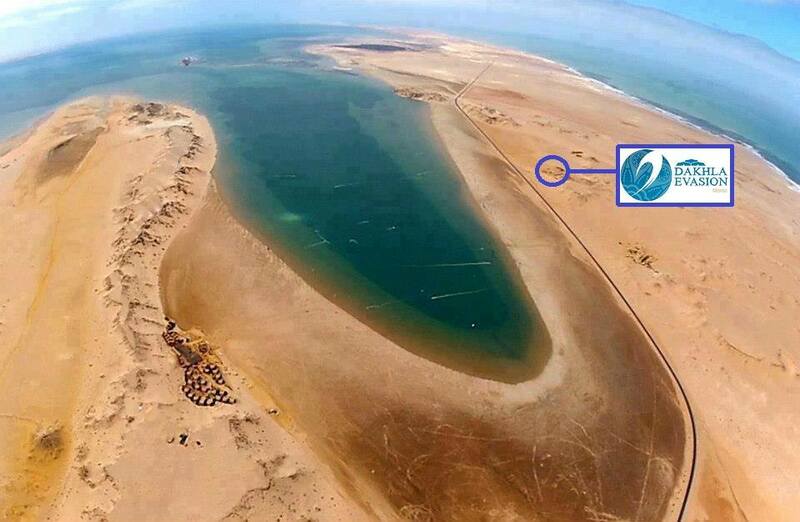 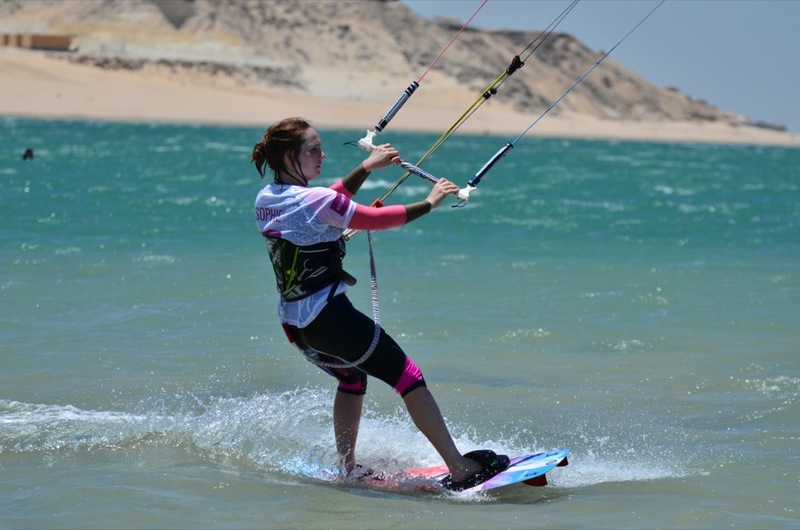 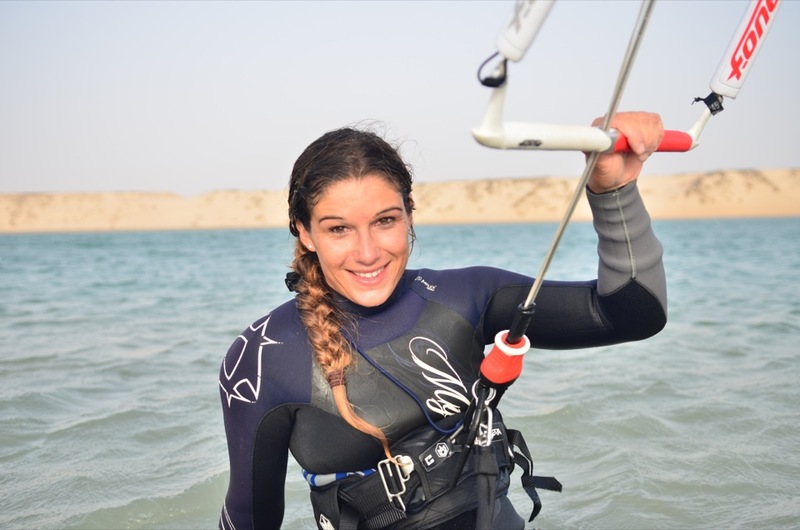 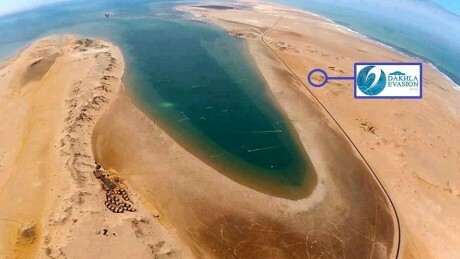 The huge flat water Dakhla lagoon offers ideal conditions for learning and improving your kitesurfing skills. The accommodation is located directly on the famous lagoon, so it couldn’t be easier for you! 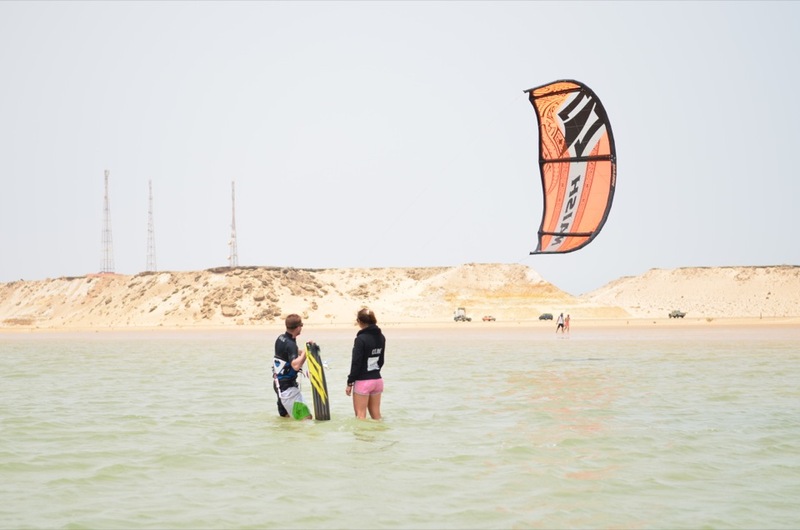 Dakhla offers something for everyone and when your not kiting you can be relaxing in the chill out areas, taking long walks along the edge of the lagoon, or just relaxing in the sun with a good book. 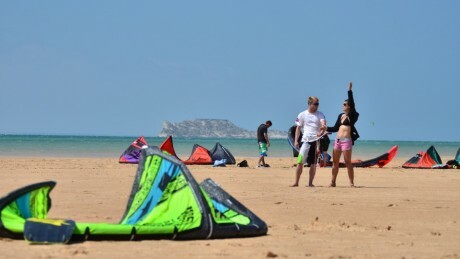 The wind varies from 6m to 11m weather but the one thing you can be sure, it is always there. 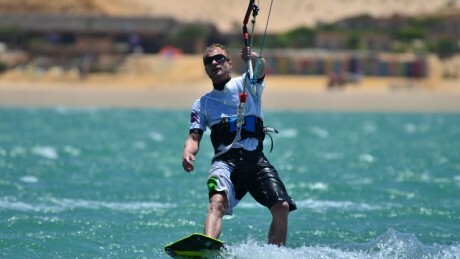 The water temperature is around 18-20C and whilst you might be happy in shorts and a rash vest for a short time we do recommend bringing with a wetsuit of some kind so you can spend as much time as possible on the water as the wind can feel a little colder in March than in the height of summer. 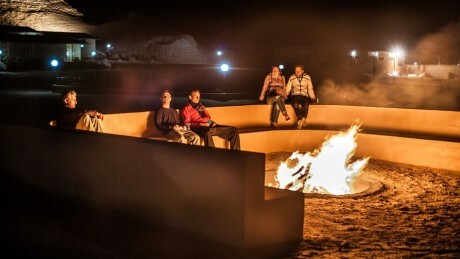 We use a 4/3 (short or long arms) or 5/3 if you want to be toasty. 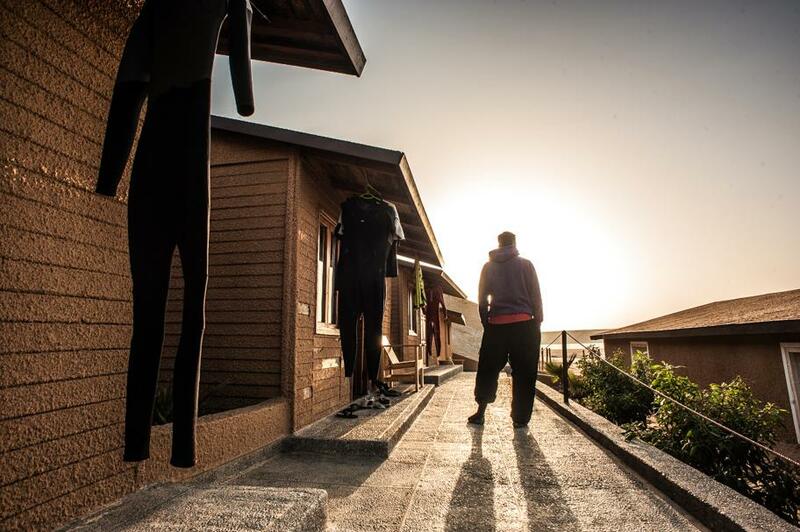 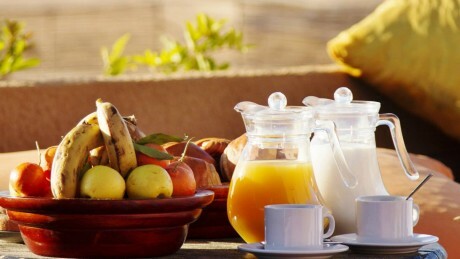 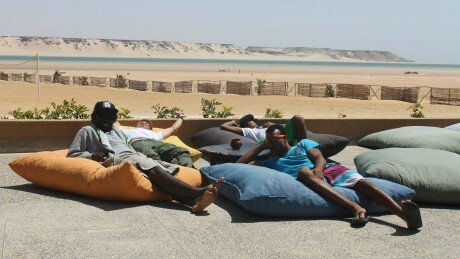 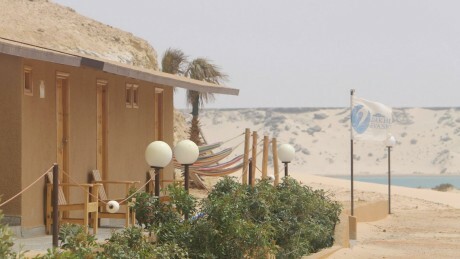 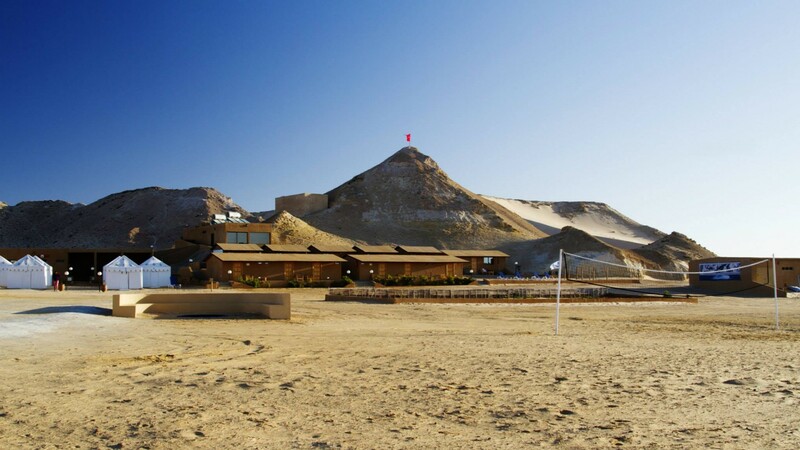 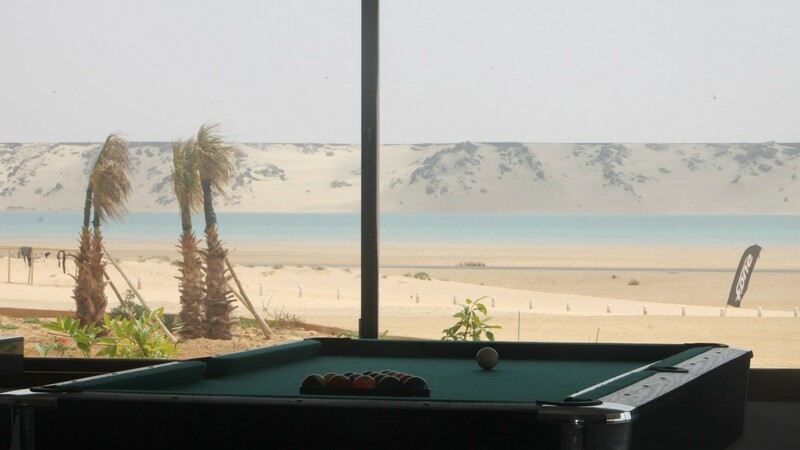 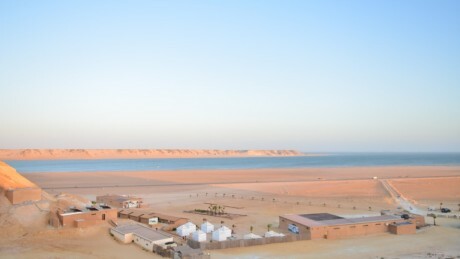 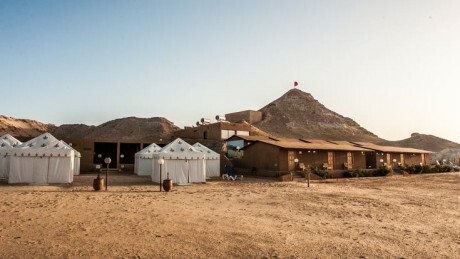 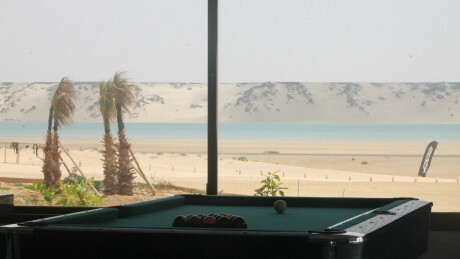 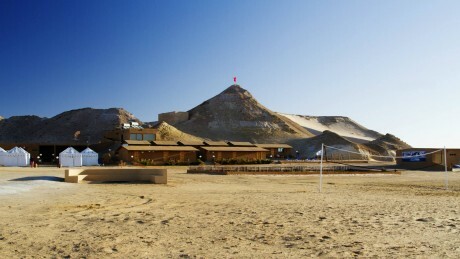 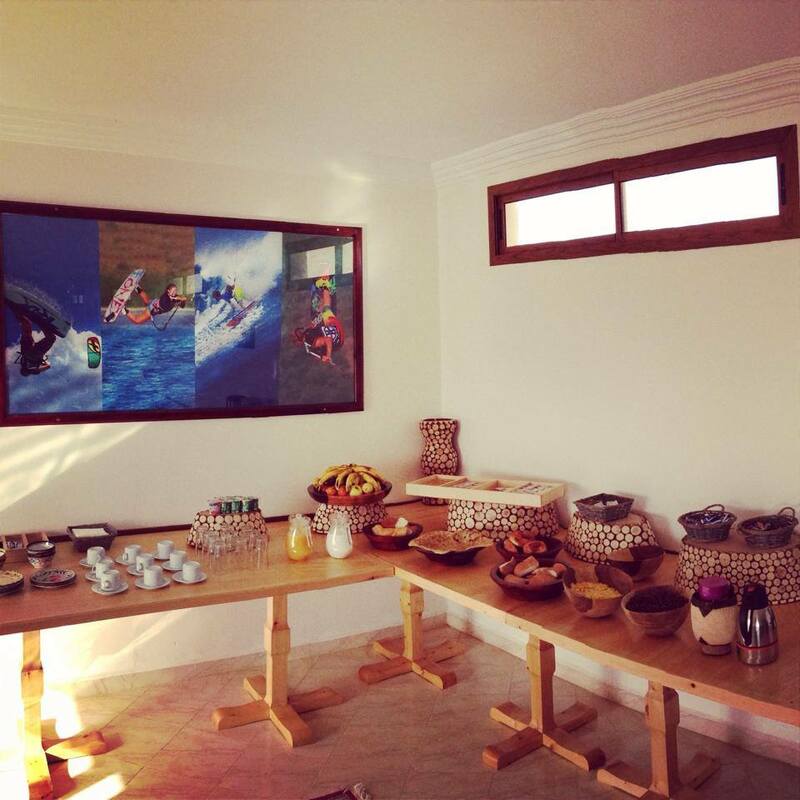 The Dakhla Evasion camp is located at an amazing spot right overlooking the lagoon. 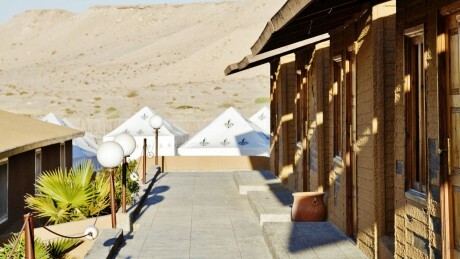 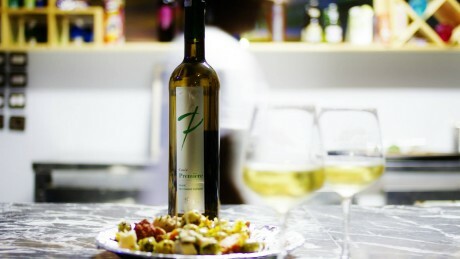 We have a great terrace where you can eat, drink and relax, which is fully sheltered from the wind. 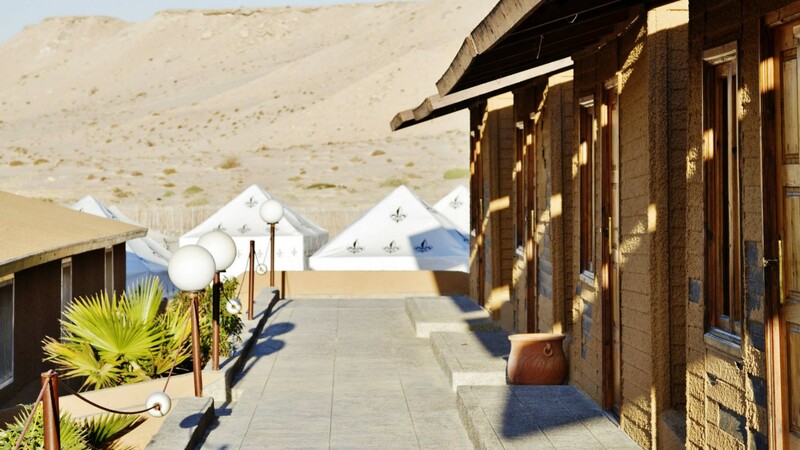 It is a small and friendly camp, where everyone gets to know each other, everyone will feel welcome, and the emphasis is on good times and good vibes. 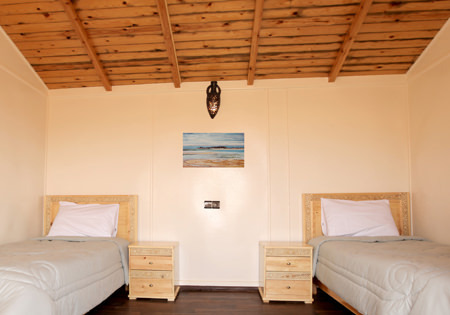 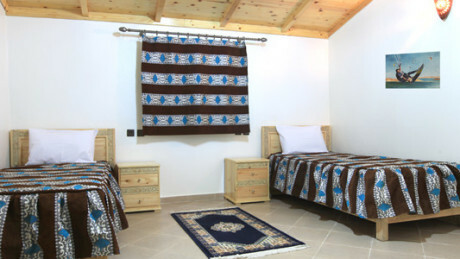 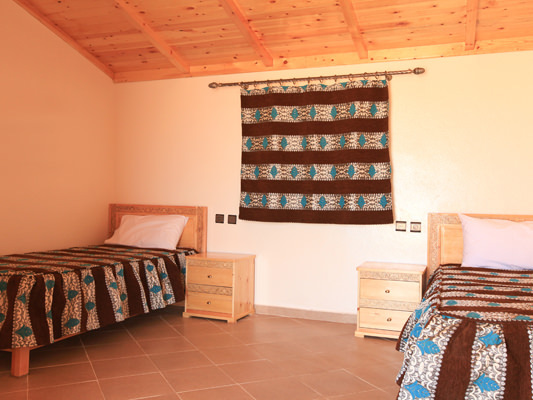 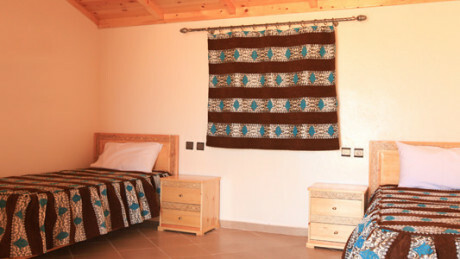 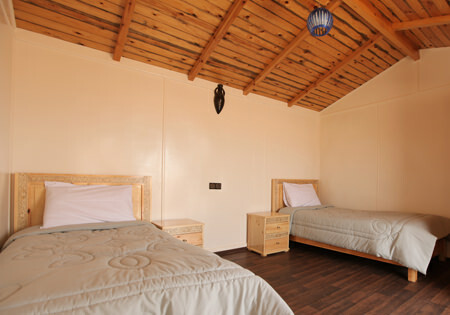 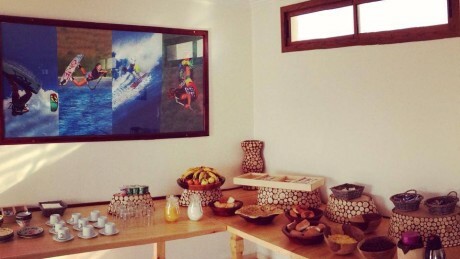 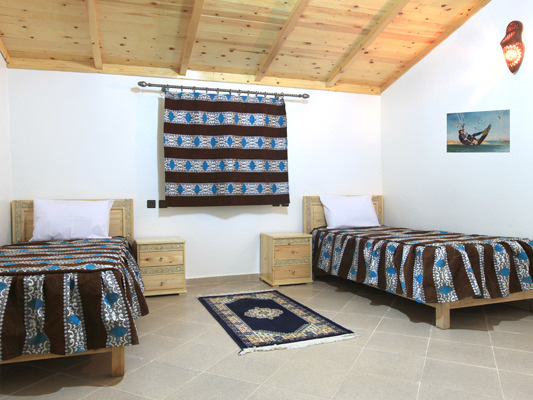 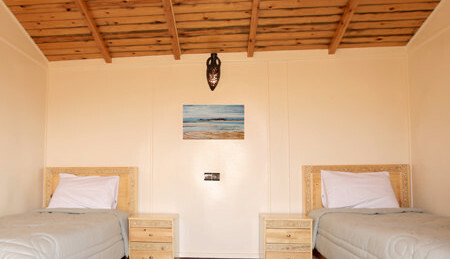 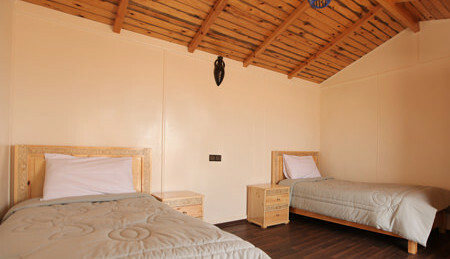 We are offering in the price accommodation in the super comfortable bungalows with hot showers and private bathrooms. 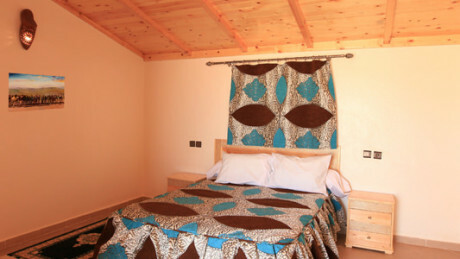 Our accommodation is based on 2 people sharing a bungalow with private bathroom, however there is the option to downgrade to a tent with a shared bathroom if you would like to save some money on the price. 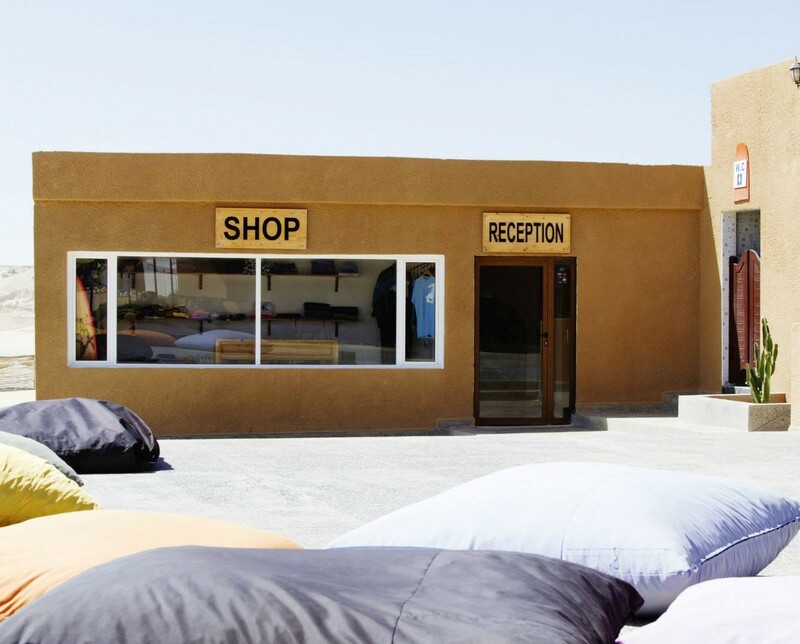 To get to Dakhla is simple, and you can usually find some very good deals. 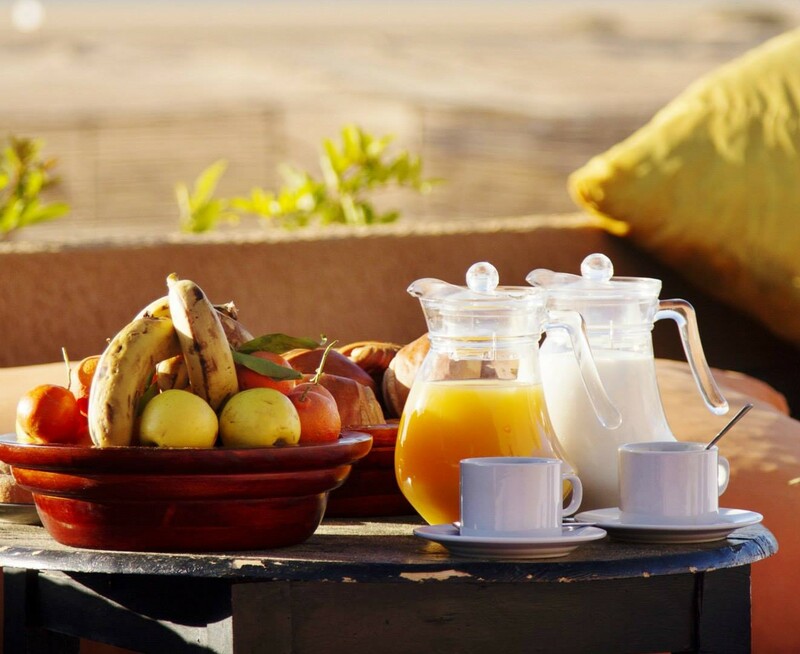 We always recommend booking flights as far in advance as possible, as the prices usually go up the longer you wait. 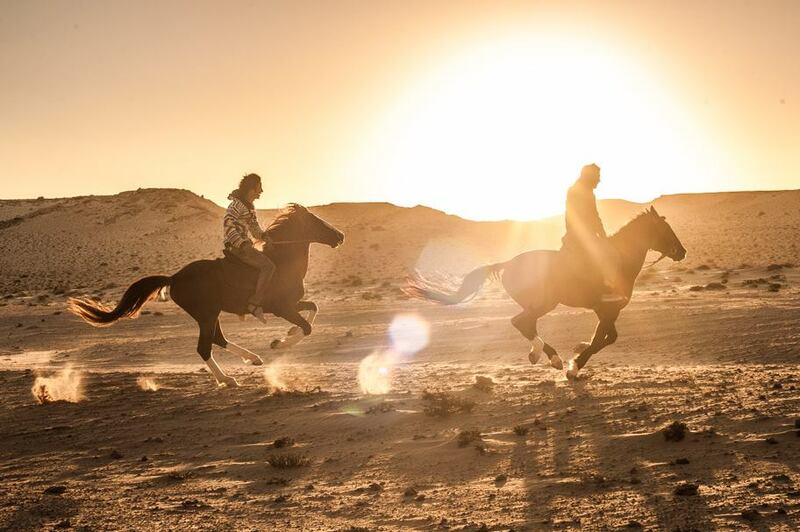 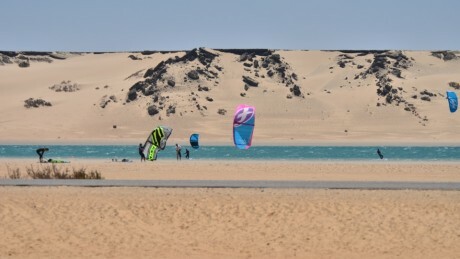 In order to get to Dakhla you first need to get to Casablanca. 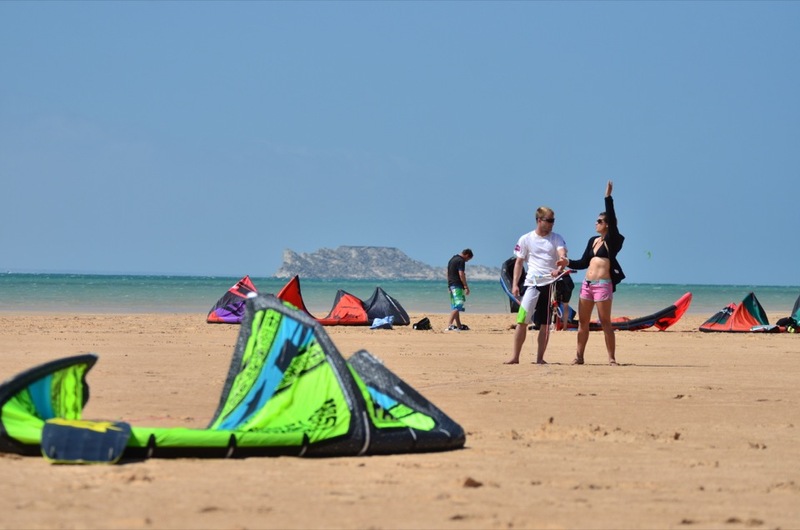 Most international airports fly to Casablanca. 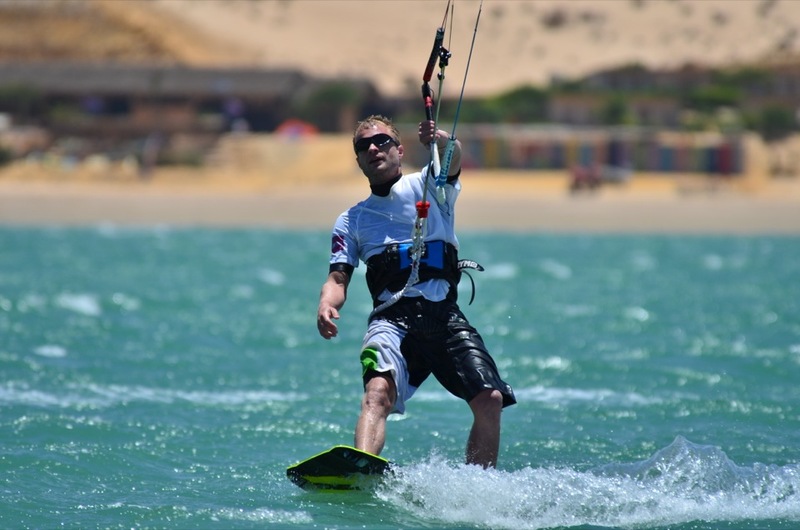 Depending on your country of departure, you can choose between many companies such as Royal Air Maroc, Iberia, Air France, Click Air, Regional Maroc and a lot of the budget airlines from your country. 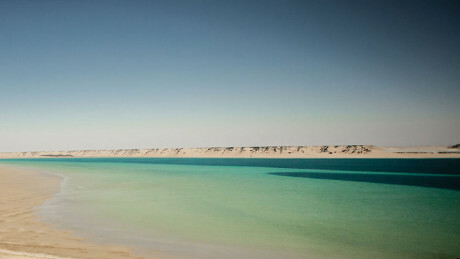 Once in Casablanca, you need to get a flight to Dakhla with www.royalairmaroc.com There are currently seven flights to Dakhla from Casablanca per week. 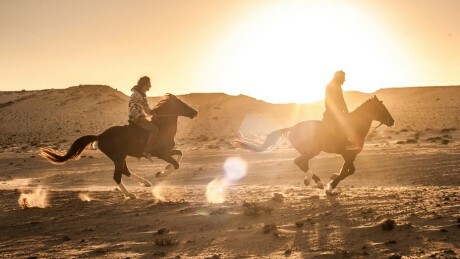 All of the flights arrive in the late afternoon or evening. 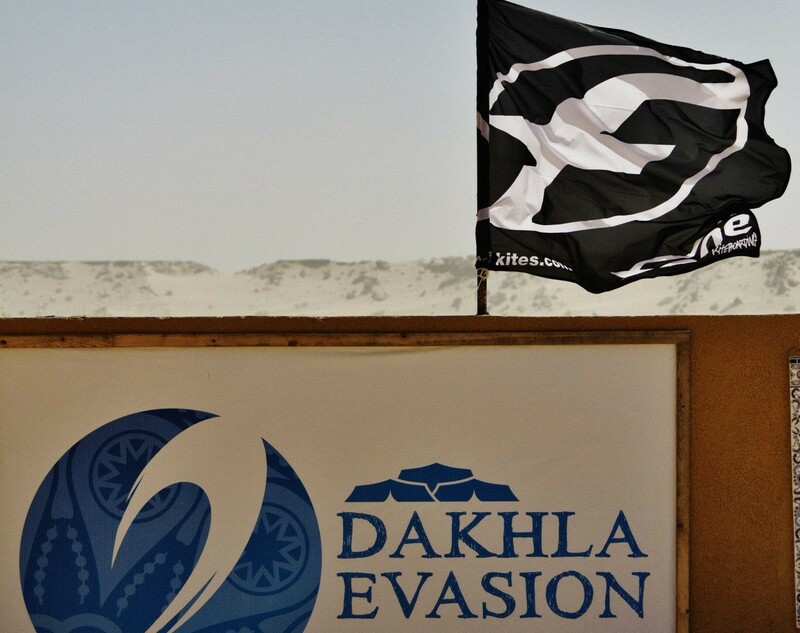 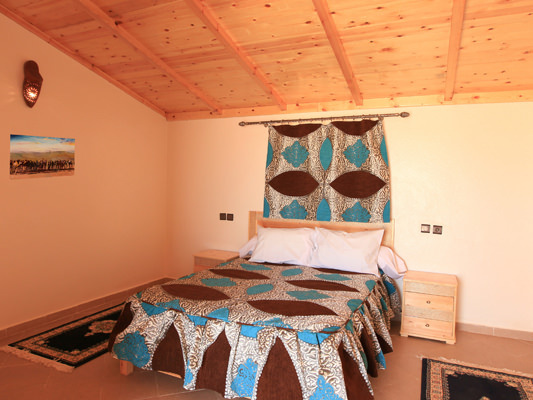 Once you arrive at Dakhla airport, we will be there to collect you in a 4×4 with a sign reads, and bring you to the camp where your bungalow will be ready for you. 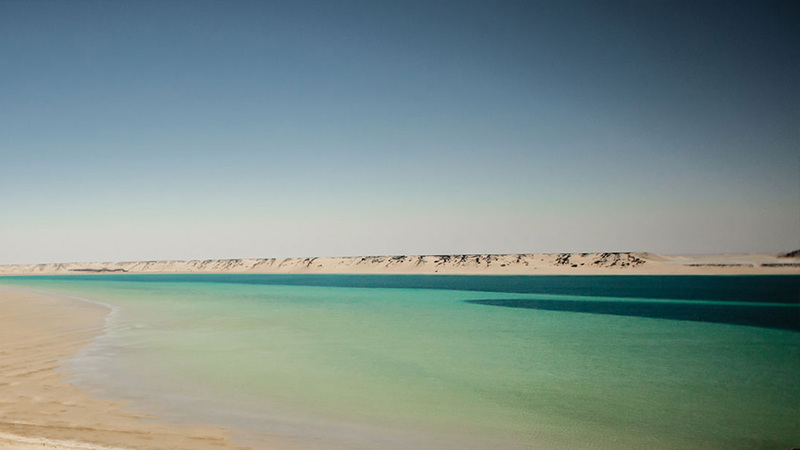 If you need any help with your flights then of course just let us know. 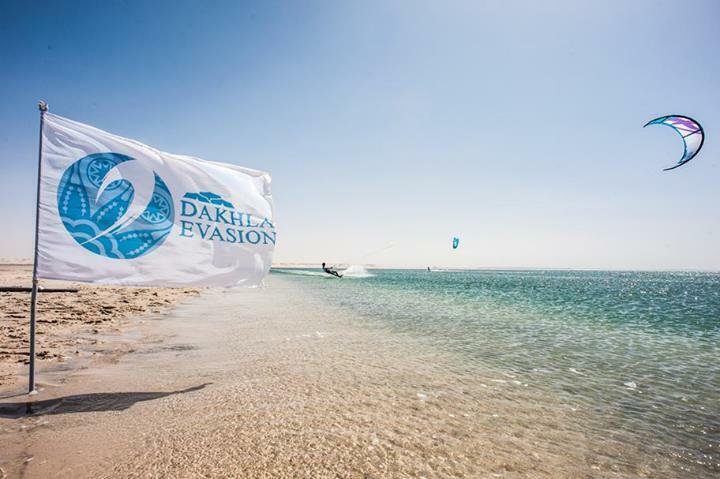 Dakhla or Ad Dakhla, Morocco is located on the southern Sahara desert coast of Morocco, just above the Tropic of Cancer and is one of the best locations in the world for kitesurfing. 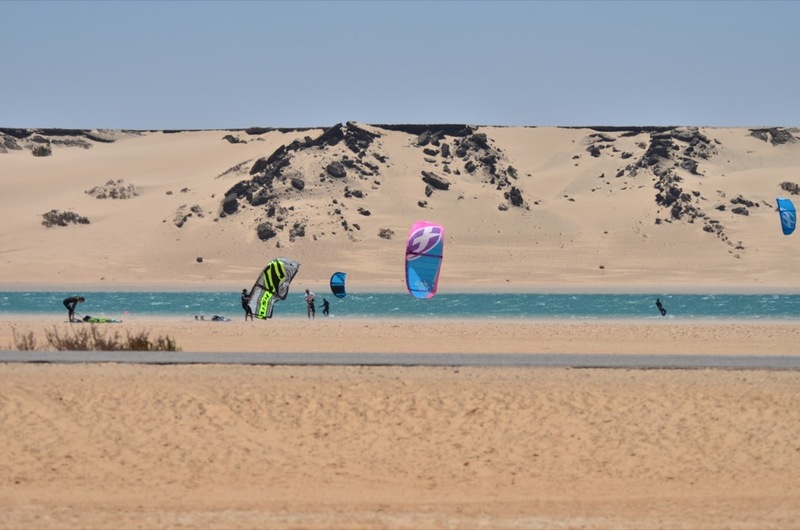 Dakhla has a 50-km flat-water shallow sand-basin lagoon, with perfect wind conditions, which is why it is so popular. 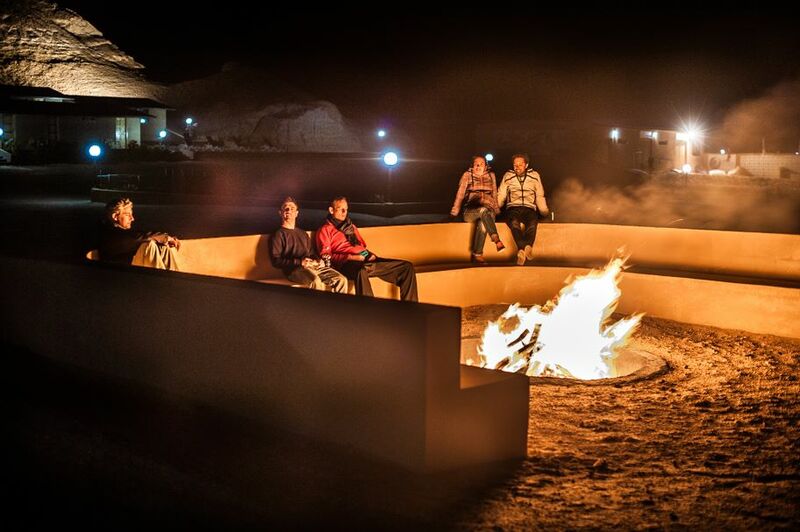 Want to join us next time?